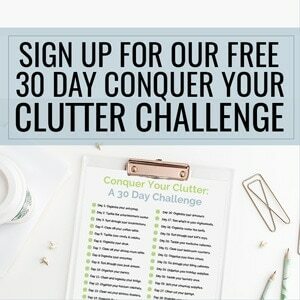 Overwhelmed by your cluttered home? 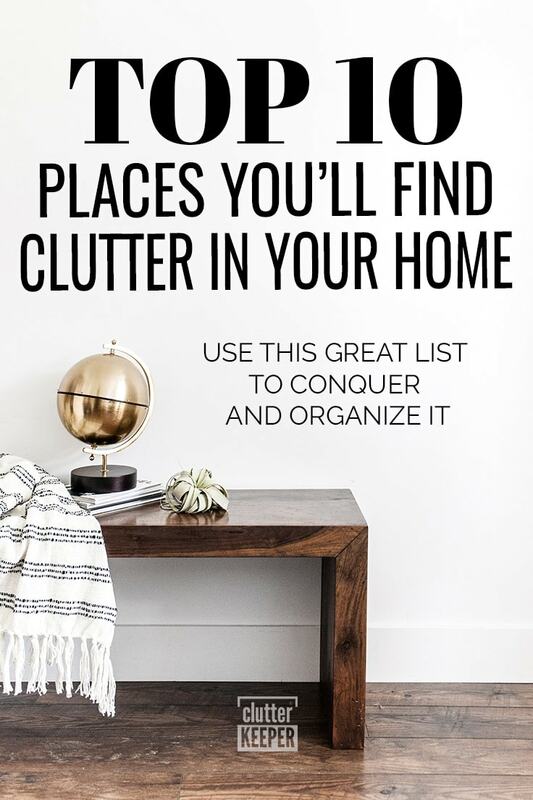 Use this top ten list to help you discover the areas of your house that are prone to collecting the most clutter. Then you can easily conquer and organize each area of your home one at a time. When it comes to clutter, everyone views things a little bit different. Some people welcome a bit of clutter, while others firmly believe everything should have its proper place in the home. Whether you have a cluttered home or one that is pretty tidy, you’re bound to have a bit of clutter taking up space in your house somewhere. Read on to see which of these very common areas are collecting – or growing – more clutter than others. If you’re on a mission to conquer your cluttered home, don’t skip over these top places you’re bound to find clutter. The first step to banishing the chaos is to realize where it is. The kitchen counters can often become a landing place for purses, mail, half-eaten snacks, and all manner of stuff. Using your counters to store appliances you haven’t used in a year? That can be considered clutter, too. 2. Beneath the bathroom cabinets. The storage space under the bathroom cabinets is often out of sight and out of mind, making it the perfect place for things you really don’t need to collect over time. See what’s hiding down there and try to bring some order to the area. This complete guide to bathroom organization has everything you’ll ever need to get your bathroom organized once and for all. For many families, the garage serves double-duty as a place to put cars and a room to store boxes, bins, and other large items. If you don’t have a basement or an attic, your garage can serve as some of the best storage space in your home, but it can also quickly get overrun with clutter. 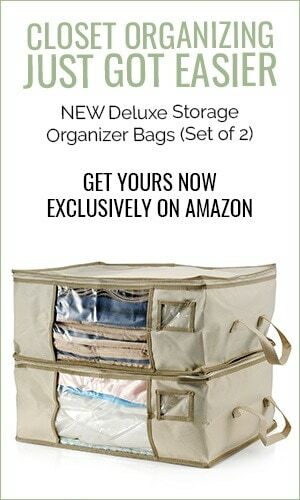 Consider overhead storage and clear storage bins to help organize and stow seasonal items away. Make an active effort to keep this space clean and orderly! Your bedroom closet is likely home to more than one or two items of clothing you aren’t going to wear again, shoes that never actually fit, and some other stuff that could absolutely qualify as clutter. Keep your closets clutter-free by sorting through the stuff inside on a regular basis – twice yearly should be sufficient – and getting rid of anything you no longer use or wear. Whether you’ve got a home office or a small workspace set up in the corner of another room, desks are a prime place to find household clutter. Sort through those stacks of paper and determine what’s there because it needs to be and what’s simply taking up space. The space underneath your beds can be transformed into valuable storage space, but more often than not, it’s home to a whole bunch of clutter and stuff that wound up there by accident. See what’s hiding in this space and sort through your stuff – you might be surprised by what you find! These step by step bedroom organization instructions will get this room tackled in no time. The linen closet is often home to all the sheets, pillows, and bedding you don’t use until a guest stops by to visit. If you aren’t hosting friends and family very often, this space can quickly get cluttered and disorganized. Sort linens by sets and store the things your family will actually use away from the stuff reserved for guests to help keep things neat and tidy. The space you use to store your snacks, spices and other food-related items can quickly get out of hand if you aren’t constantly keeping it organized. If you find your pantry is susceptible to getting cluttered and out of control, consider some smart storage solutions to make it easy for everyone to stay on top of their mess. Your coffee table – or any other small table taking up space in your living room – can become the perfect place to collect clutter over time. Make sure these spaces don’t become filled with magazines, DVD’s, toys, cups, and whatever else someone could set down. Instead, dedicate spaces to store each of those items and keep your surfaces stuff-free! Regardless of who you are or where you live, you’re almost guaranteed to keep a dedicated junk drawer in your home. While it’s nice to have a small catch-all place to collect miscellaneous odds and ends, chances are you don’t actually need to keep most of the stuff you’re storing in there, taking up valuable space and making it harder for you to find the things you actually need. These tips will help you get rid of your junk drawer once and for all. Are these some of the places in your home that are prone to collect the most clutter? If there’s a space in your home that deserves a mention that didn’t make the list, share in the comments section below! 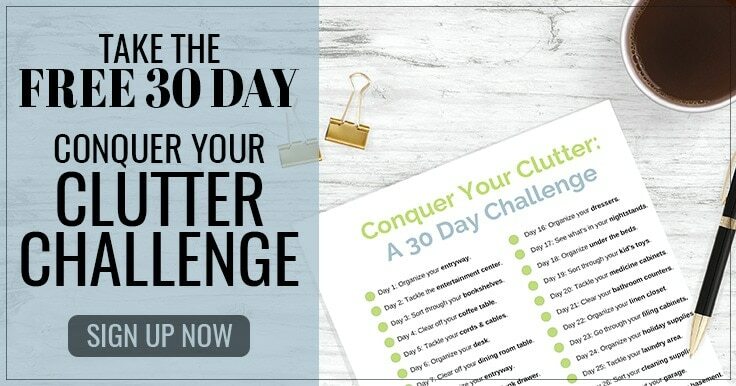 Share this post with your friends and see which area on this list contributes to their cluttered home too.